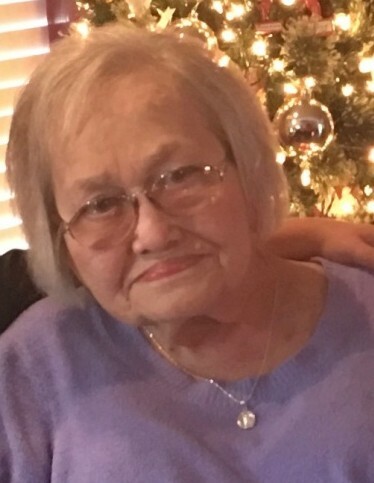 Mrs. Billie Owens Jones, age 88, was a lifelong native and resident of Pascagoula, Mississippi, until she was called home on April 6, 2019. Billie was a class of 1949 graduate of Pascagoula High School and hard worker, who was self-employed as a bookkeeper for many years at her family owned business known as, World Parts. She also was employed by Ingalls Shipbuilding in her early life, and enjoyed being a housewife and homemaker. Billie was a member of Our Lady of Victory Catholic Church in Pascagoula, MS.
She is preceded in death by: her husband, Chad “Buddy” Jones; her father, William J. Owens and mother, Hilda Larsen Owens; three sisters, Eula (Jeff) Owens-Moore, Amelda Owens, and Minette “Tootsie” (Lionel) Owens-Whitmore. She is survived by: her loving sons, Sean (Roseanne) Jones and Casey Jones; grandchildren, Jacob and Owen Jones; and her extended family, the Crockers and Daggetts, along with a host of nieces, nephews, other relatives, and friends who will miss her dearly.